In fairness, some of us like to feel as if we’re stepping on to the red carpet at Cannes faced with the paparazzi on our wedding day. A sea of cellphones, tablets, SLRs and smartphones snapping away at us as we head down the aisle, having just been made husband and wife, appeals. For those who love the idea of all their friends capturing the moment, I say – go ahead. Enjoy! Encourage the current frenzied need to document everyday life that will no doubt be a part of your wedding; guests armed to the hilt with their own equipment whilst they capture your wedding on Facebook or have a live feed on YouTube. After all, a wedding flits by so quickly the more photos and posts there are to testify to the moment, the better. There is a downside to all of this madness, which explains the upsurge of the trend for unplugged weddings – where the bride and groom actively ask their guests to leave their smartphones in their pockets or even at home, resisting the urge to share the event as it’s happening. Do you want other people viewing your wedding as it’s happening? Wouldn’t you prefer to share it with others when you choose to do so, and in a way that you are happy with? Do you want your unsolicited picture on Facebook even before you’ve said ‘I do’? Are you and your guests truly experiencing the moment with your senses as it is unfolding, if they’re firmly attached to cellphones and cameras intent on getting the perfect shot? Do you want to page through photographs years later and see more cameras than there are faces? Is your photographer going to be interrupted and hassled by well-meaning relatives and friends who see nothing wrong with shooting just over their shoulder, or worse, interfering with equipment that might be in their way. Going for the unplugged version is going to take a little explaining / persuasion. 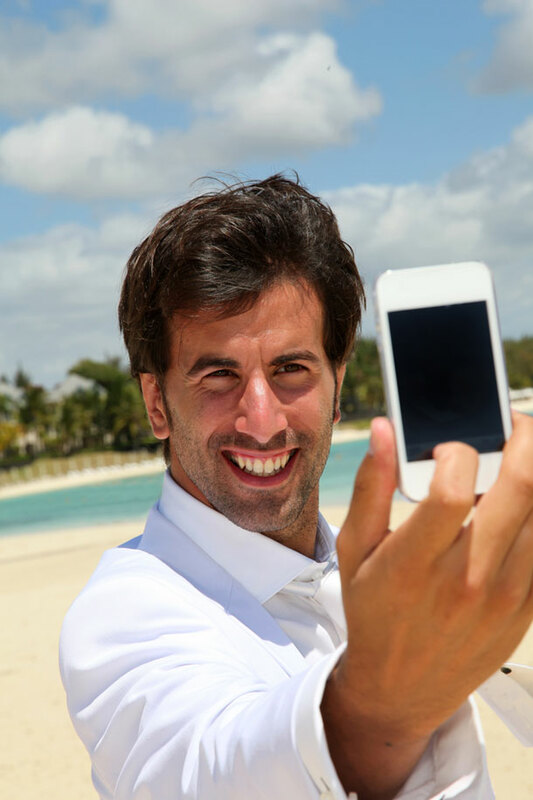 Some of your guests will feel rather affronted at not being able to take their own pics. But your photographer will thank you. Because although it is wonderful that your guests are enthusiastic enough about your day that they’re in the aisle obstructing her view of you, their being there means she cannot take the pictures you want and expect from her. We are definitely keen for the unplugged wedding. We won’t be too strict with the reception but cameras and phones are a “no-no” at the ceremony. Only problem…how do we politely explain this to our guests? Do we include this request on our invitation. Please – your advice.